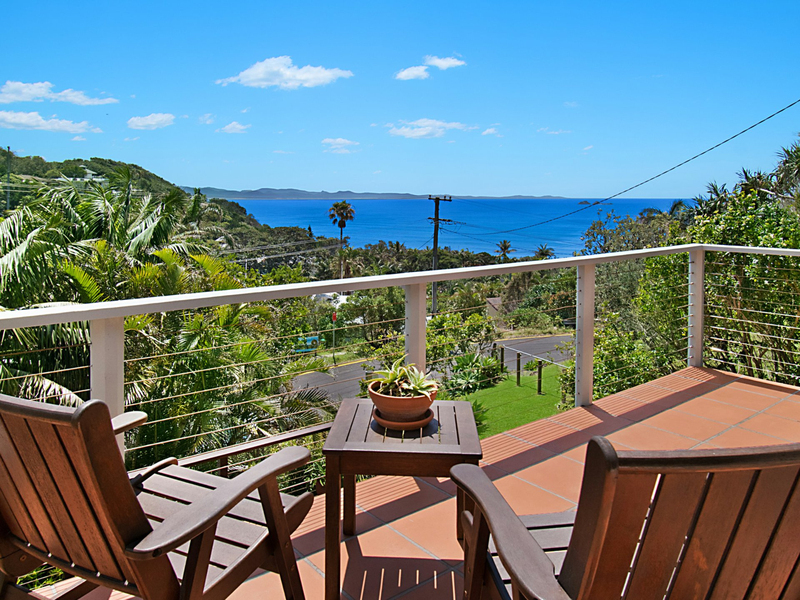 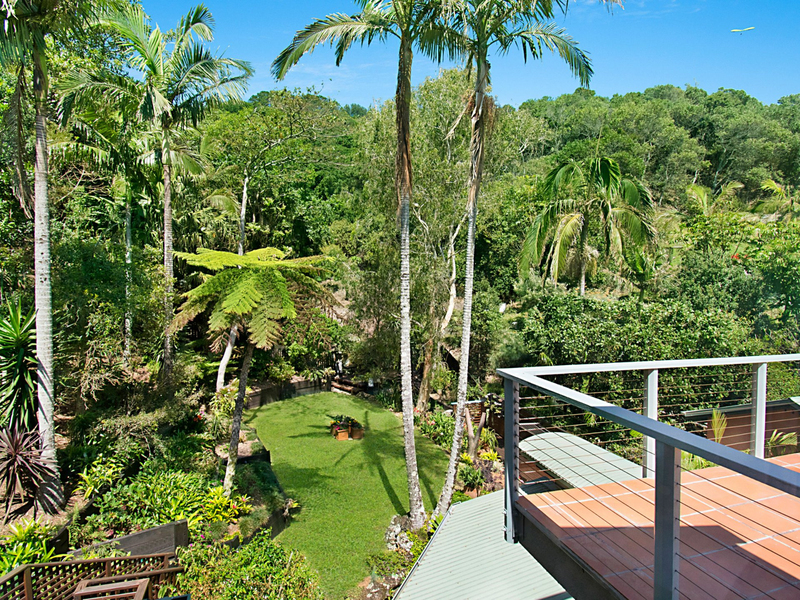 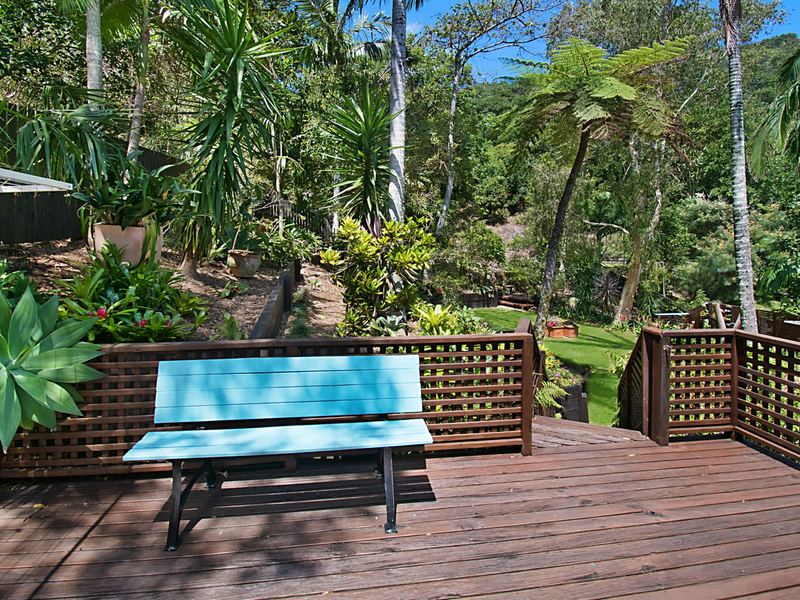 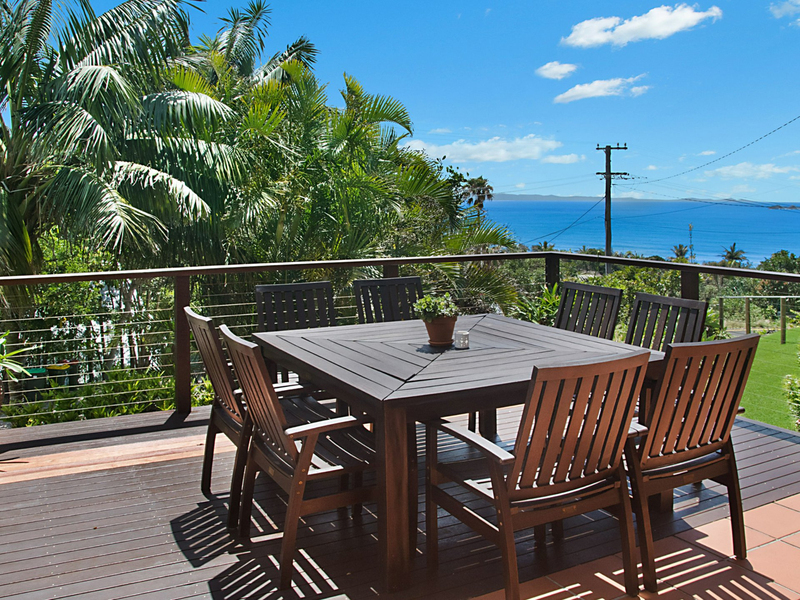 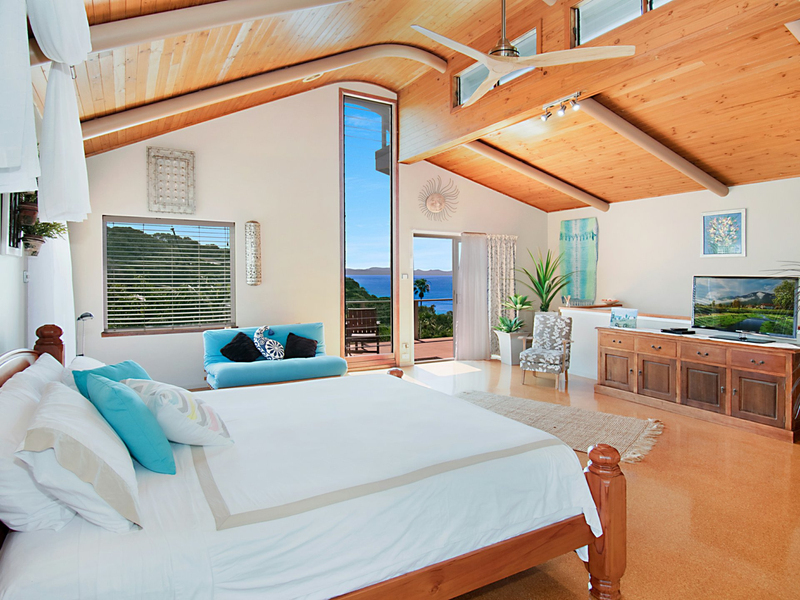 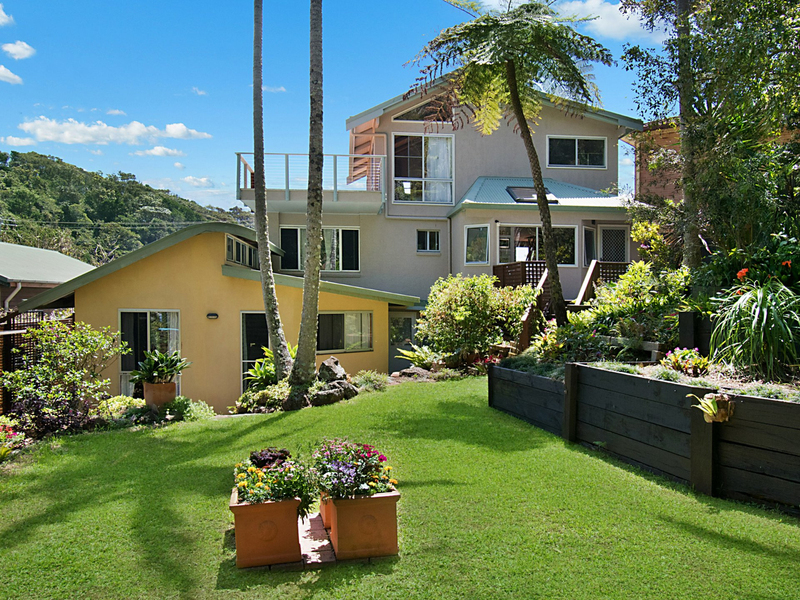 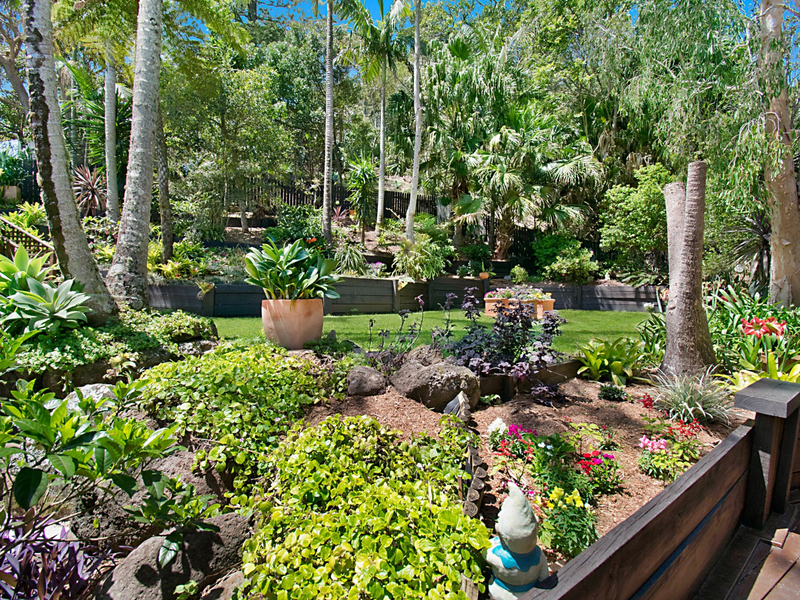 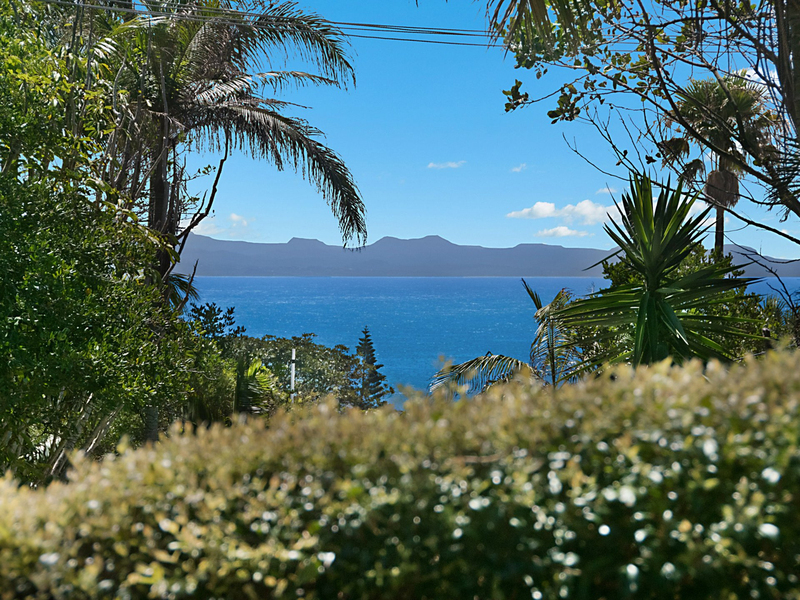 Perched above the treetops with beautiful uninterrupted views over Wategos Beach, this gorgeous four-bedroom home and its exceptional location will leave you in awe. 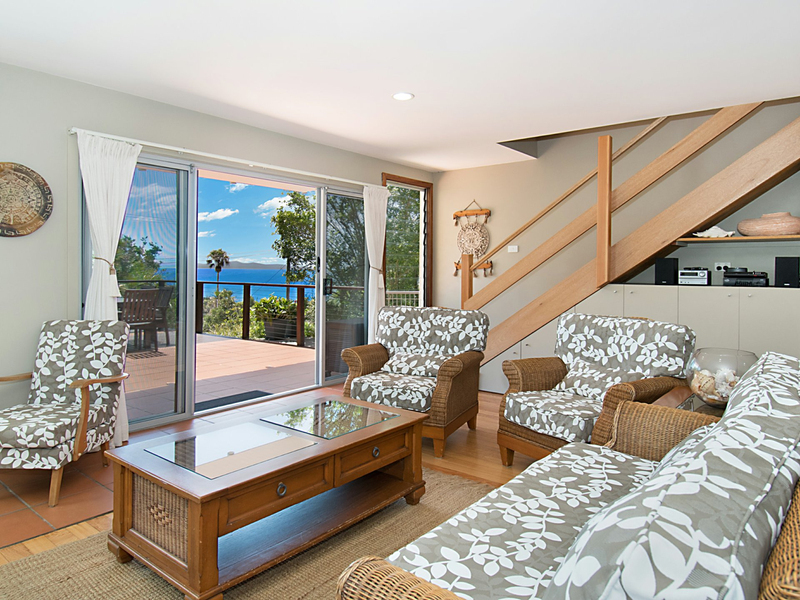 Boasting spectacular light-filled living spaces spread over three levels, plus high ceilings and a seamless indoor-outdoor lifestyle, you will feel as though you are on holidays 24/7. 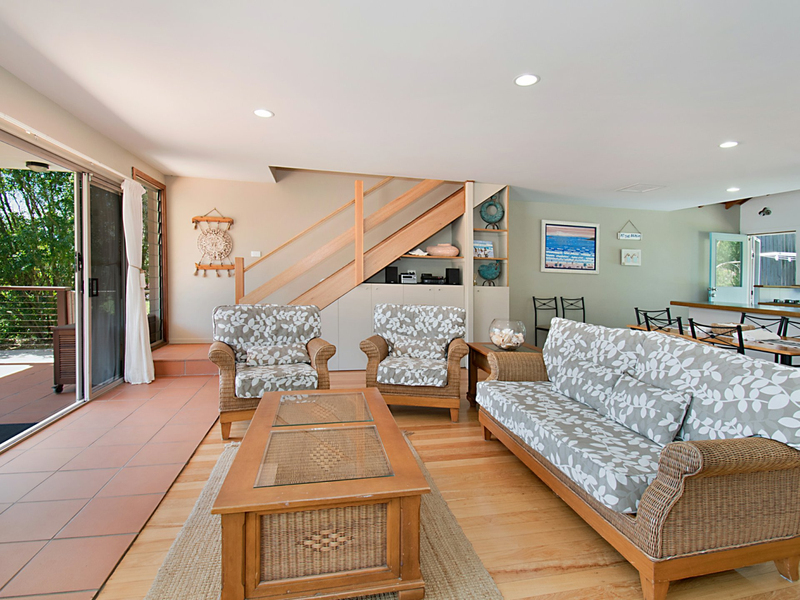 The main floor features an open-plan living, dining and kitchen space that opens out onto two decks. 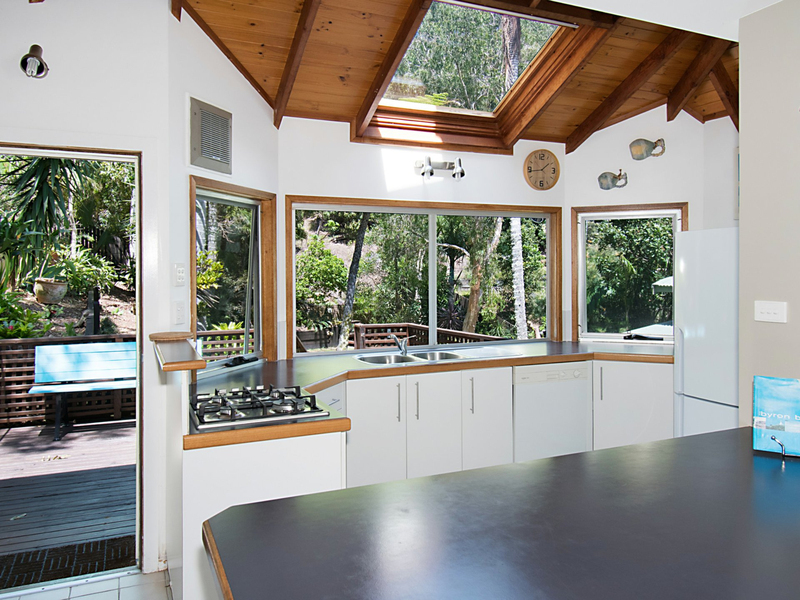 The kitchen is a good size with ample bench space plus gas cooking. 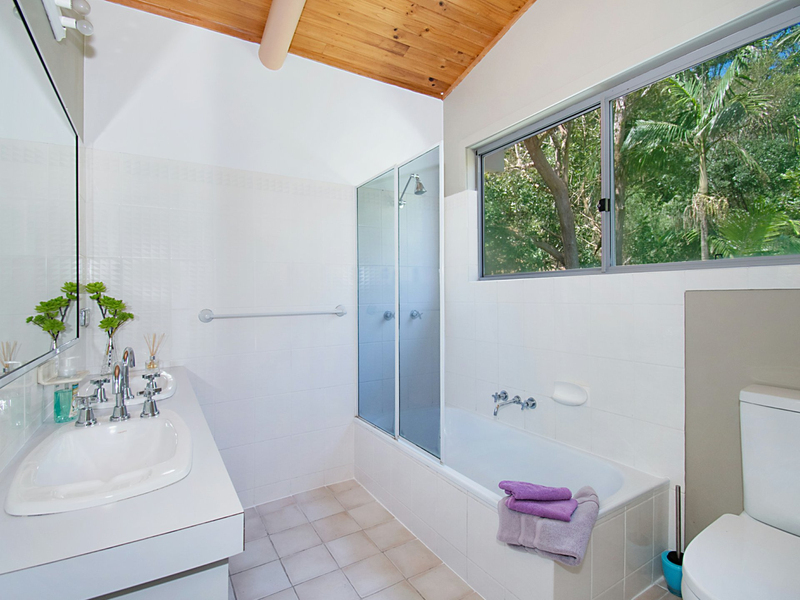 There is also a main bathroom on this level along with two bedrooms with built-in robes. 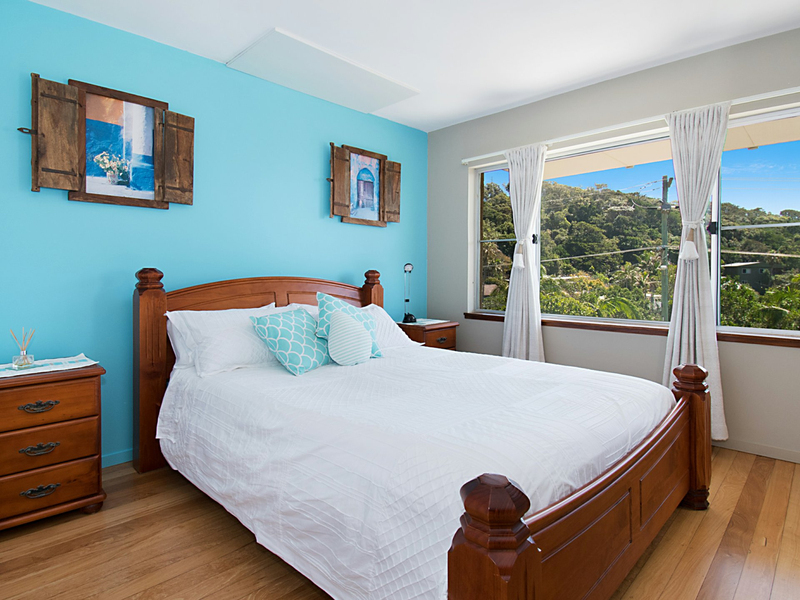 To top floor houses a huge master suite complete with a private deck and entertaining space, spacious walk-in robe and an ensuite with a bath, perfect for unwinding after a long day. 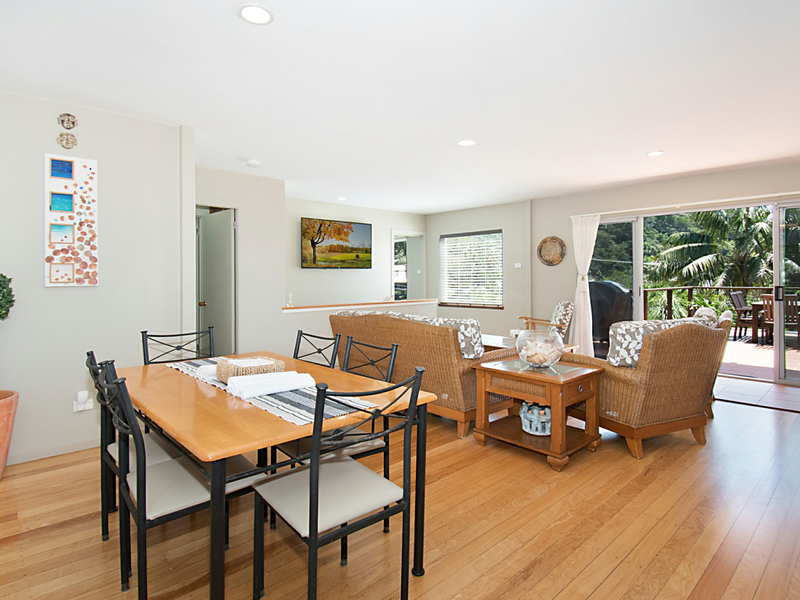 The lower level offers flexible living space including a self-contained guest suite or teenagers' retreat plus a study nook and a bathroom. 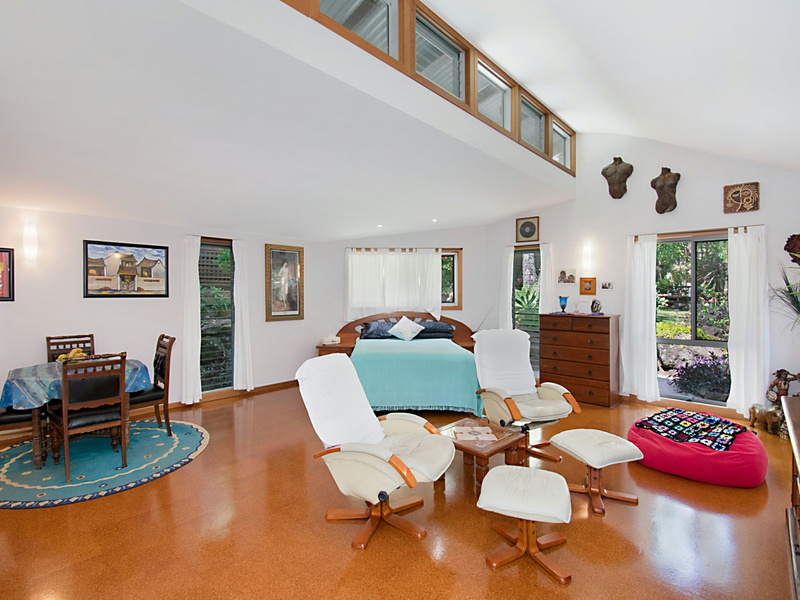 There is also a laundry, a wine cellar and a single lock-up garage on this floor along with a large covered deck. 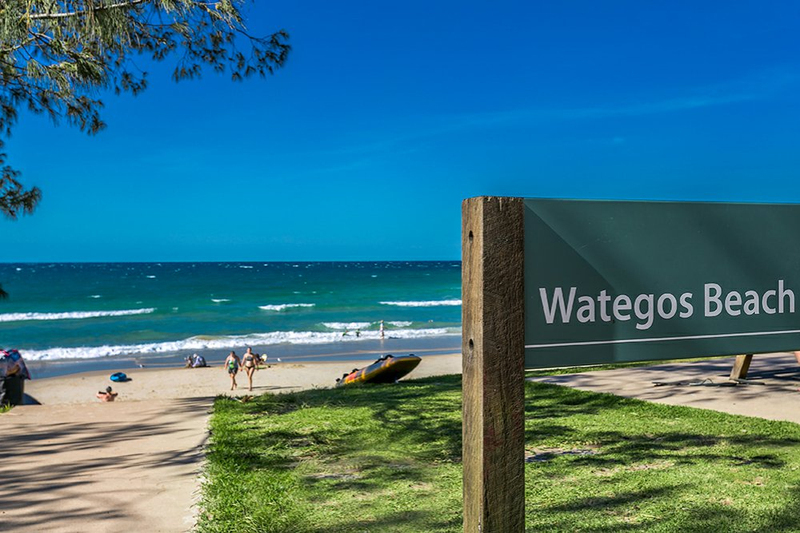 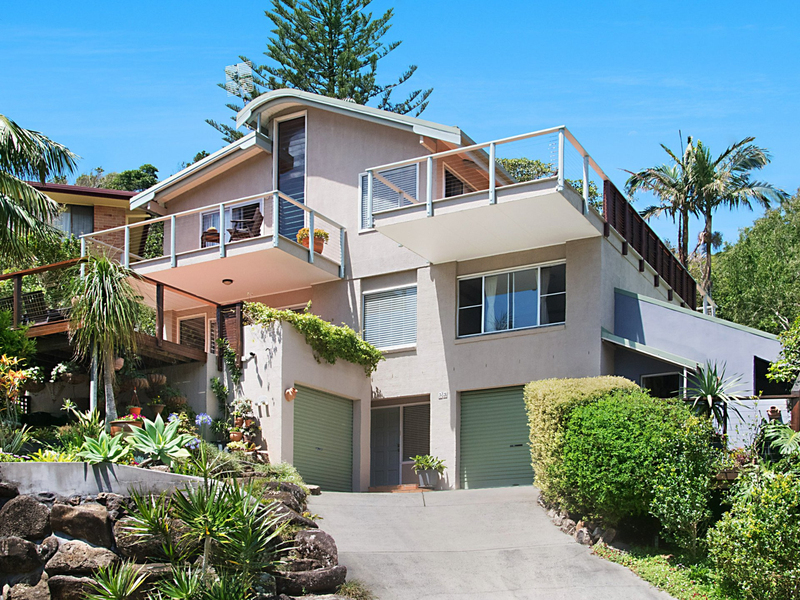 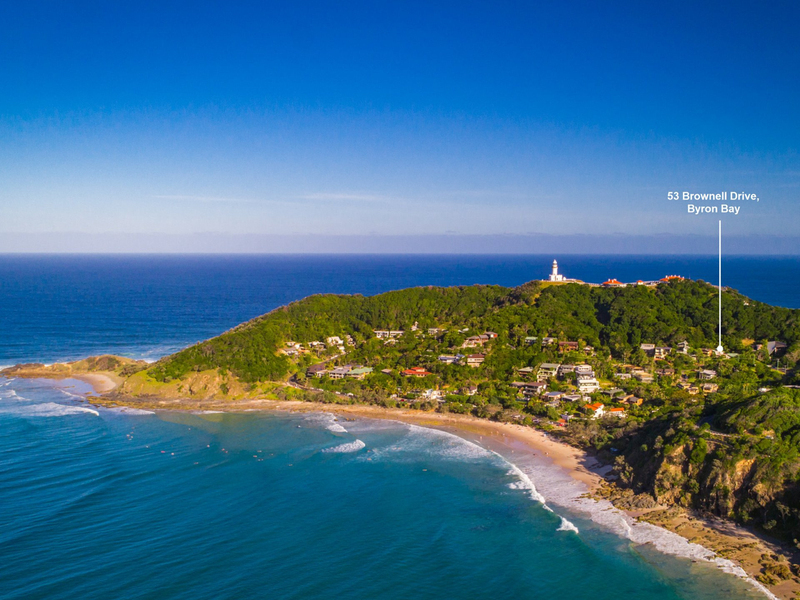 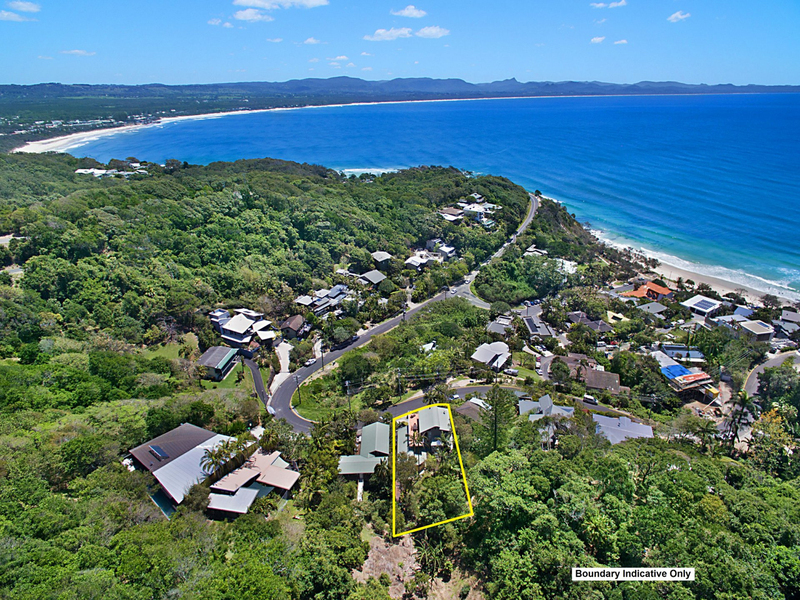 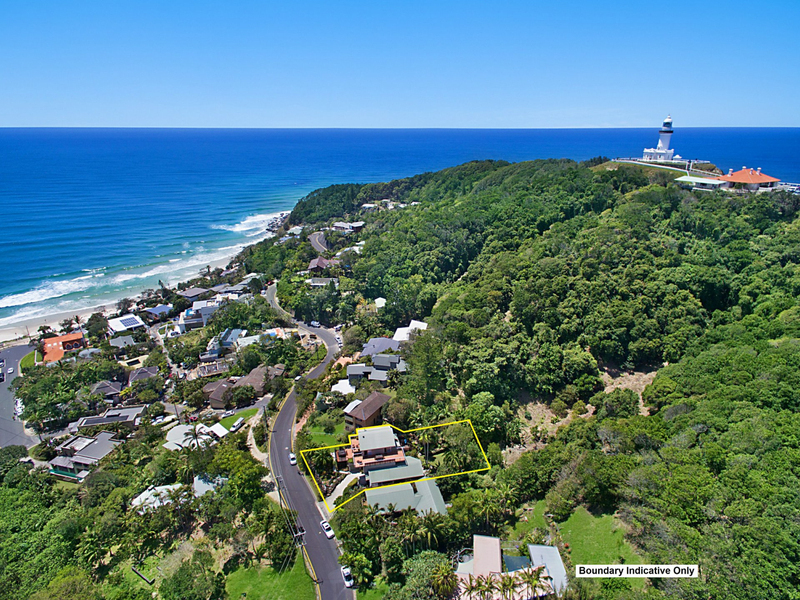 You will love living just minutes from the pristine sands of Wategos Beach and the famous cafes, restaurants and shopping of Byron Bay all while feeling a million miles away.